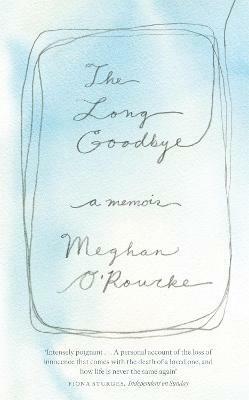 Meghan Oâ€™Rourke is the author The Long Goodbye: A Memoir (Riverhead Books, 2011), and the poetry collections Once (W. W. Norton, 2011) and Halflife (W. W. Norton, 2007). A former literary editor of Slate and poetry editor of The Paris Review, she has published essays and poems in The New Yorker, Poetry, The Kenyon Review, The Best American Poetry, and other venues. She is the recipient of the 2008 May Sarton Award for Poetry from the American Academy of Arts and Sciences. She splits her time between Brooklyn, NY, where she grew up, and Marfa, TX.